The holidays and end of the year provide an excellent opportunity to faff around at home, build your own practice and create new habits that serve you; habits that you can bring with you into the year to come. Give this to yourself for Christmas! Take the time to move around, and also to just sit still and observe. You can even do yoga while scrubbing the floors. Keep a note book close. Write down whatever plonks into your mind. Good ideas are sometimes like seeds who need paper to grow roots. Stale, dusty junk thoughts or heavy emotional baggage needs to come out into the light too. Then you can choose what to keep and what to toss. Let it out and let it go. Create space and a nice atmosphere just for you. Check out some of my suggested videos below or just do the sequences or poses you like from classes you’ve been to. Play around with it. Nobody’s watching (except maybe the cat). Want to start right now? Here’s my quick guide to yoga on the web! Extra bonus. Try out the breath of fire from this preview! Want to join a yoga studio with lots of different teachers, or just hang on the couch and read up on anything from philosophy to nutrition? My Yoga on Gaiam TV has daily videos with whole practices, both short and long. You can do the daily practice, join one of the curated programs or find other videos in the archive. This is a subscription service with monthy fees, but you can try it out for 10 days for free. Also, there is lots of free content like articles and a pose guide. A nice way to get some inspiration! There’s also tons of free resources on youtube! 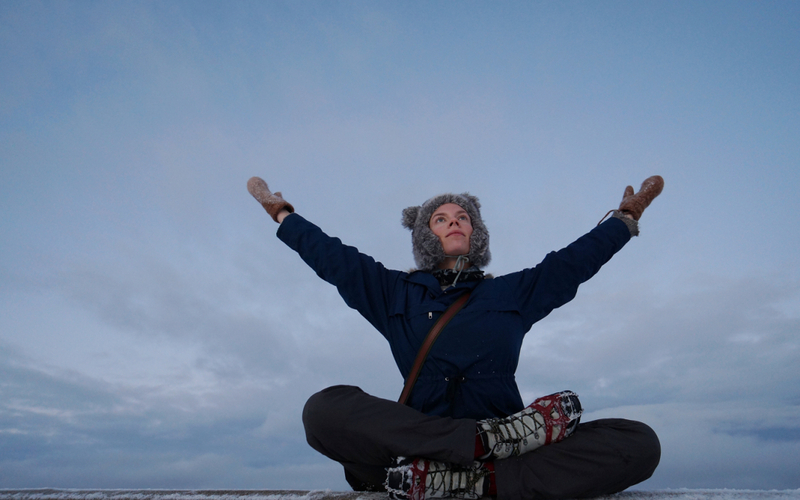 Yogatic/Ekhart Yoga is the channel of Dutch yoga teacher Esther Ekhart. A great resource with tons of short and sweet practices, videos on alignment and transitions, full classes of up to 90 minutes and also nice meditations. And there’s a team of highly experienced and soothingly human, down-to-earth teachers in different shapes and ages. Check it out and you’ll see what I mean. Sit down. Relax. Do nothing. Not as easy as it sounds? In a yoga asana class, there is simply not enough time to really get into a deep meditation practice in complete stillness. It’s a moving meditation, for sure, especially when plugging into our awareness in the way teachers like Meghan Currie invites us to. I would still highly recommend practicing meditation on it’s own, sitting or lying down. And it really doesn’t have to be all that complicated. Guided meditations are often a good place to start, but it’s important to find a teacher you like. Even just the sound of the voice makes a big difference. I adore Jon Kabat-Zinn, not only for his voice, but also his eloquence and wonderful introduction into moment to moment awareness. If I was to pick one thing for you to try of all the things I have listed in this post, it is the Heartscape/Loving Kindness meditation. Call it my Christmas present to you. That should make you open it, right? Then I would love it if you passed it on to someone else. Merry Christmas and have a wonderful transition into the new year.